Public Domain Photos From Wikimedia Commons, the free media repository. Through all these stock footage and photographs, over original music created by the award winning composer Brain Zinola, this documentary shows the evolution of the social situation in Germany from 1919 to 1933, from the rise of the Nazis to power to the destruction brought to Europe and Humankind with the holocaust. Rorschach inkblot images applied on the 22 Nazi leaders during the Nuremberg trial serve as visual transitions for the photographs and the stock footage of the period. 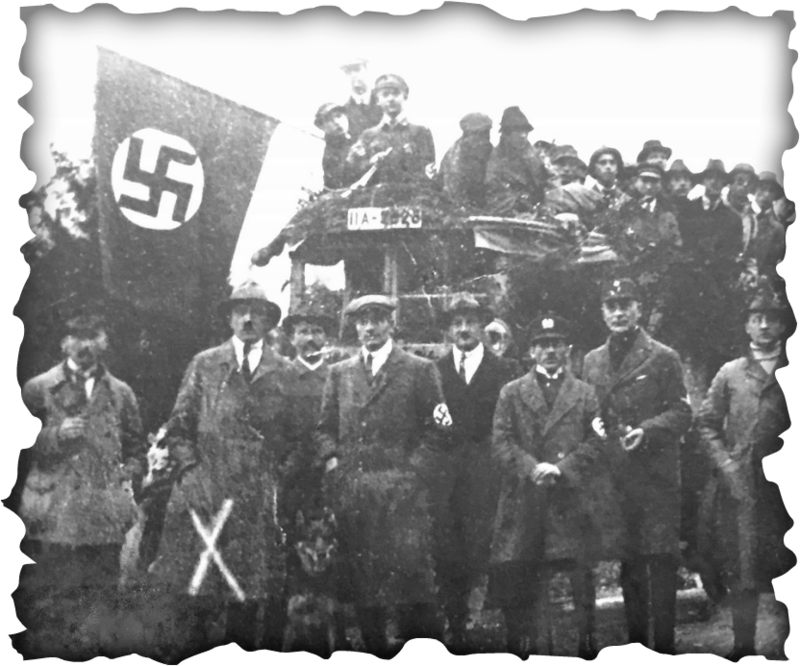 The interviews are inserted into this sequence discussing the evolution of Nazism from a small party on the fringe of society to the absolute power in Germany. 1. Political and sociological circumstances that allowed the Nazis to come to power. 2. The discriminatory policies of the Nazi party and psychological impact on the overall population. The growth of the Nazism towards absolute power leading to the concentration camps. The documentary then covers the IQ and Rorschach tests applied to Nazi war criminals and their brief history and bio: Leon Goldensohn, Gustav M. Gilbert and Douglas M. Kelley. It covers the Rorschach technique and what it can reveal from a person’s personality. Is it possible to use the tests to explain or understand any of the Nazis’ behavior? What were the different interpretations of the Rorschach applied to the Nazis criminals? Case studies are reviewed of some defendants that stood out because of surprising data collected. 4. Why was the Rorschach chosen as the main test for the Nazi criminals? Were other methods of psychological evaluation considered? 5. How objective are the tests? If different psychiatrists read them, would they interpret them differently? If the tests were administered today, would we get a different interpretation? 6. Can one say that there is a Nazi personality? What did the test prove about the Nazi criminals? This portion of the documentary covers the psychology of the perpetrators and social-economical conditions present at the time that lead to the rise of a discriminating anti Semitic ideology. This section also analyses the short comings of the theories of Adorno, Asch, Arendt, Milgram, and Zimbardo, followed by the current theories explaining the situational forces and conditions that could influence individuals to participate in a government lead mass murder. The conclusion of the documentary weighs in how awareness of these new theories can contribute to social change and help prevent the reoccurrence of future genocides. 7. According to some theories of behavior whereby the individual can be influenced by environment - can a similar tragedy evolve under similar circumstances again? 8. How do you account for this human capacity for evil? Is it something inherent in human beings or triggered by situational forces? Were the Nazis a special breed of psychopaths or ordinary beings blinded by obedience to authority and ideology? 9. What are the conditions that can allow this kind of human anomaly to happen again? How can it be prevented?